Back by Popular Demand! 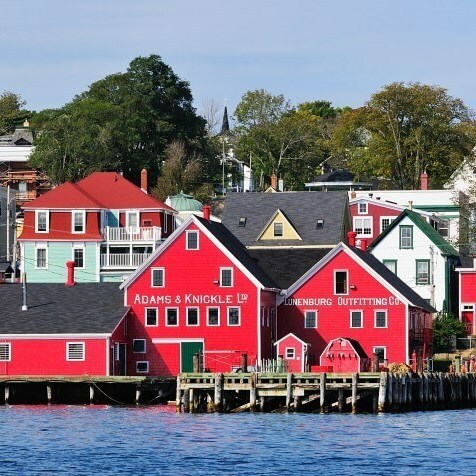 St. John, New Brunswick, Halifax, Nova Scotia, and Prince Edward Island combine to create a coastal holiday filled with charm and serenity. Back by Popular Demand! St. John, New Brunswick, Halifax, Nova Scotia, and Prince Edward Island combine to create a coastal holiday filled with charm and serenity. Plus, you will enjoy a marvelous two-night stay at two of Canadas most treasured hotels, the 4-star Lord Nelson Hotel and the luxurious Rodd Charlottetown. Book early! Note: A valid Passport is required for this tour at your expense! Welcome Aboard! 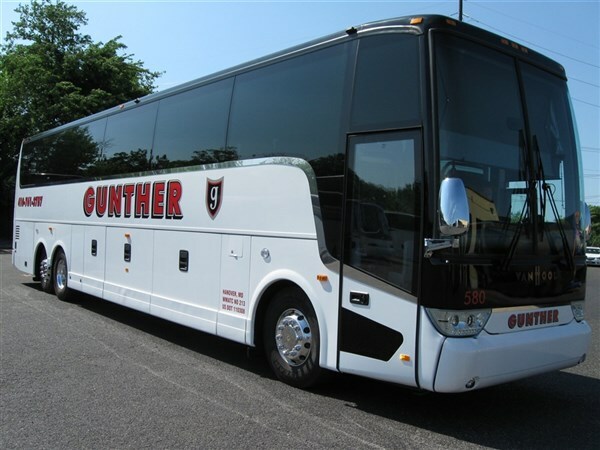 Travel in comfort aboard our deluxe motor coach for a Canadian holiday. After checking into the Best Western Merry Manor Inn in South Portland, Maine for the night, we conclude our travel day with a traditional Maine lobster or prime rib dinner at the hotel. After a buffet breakfast, we depart for St. John, New Brunswick. 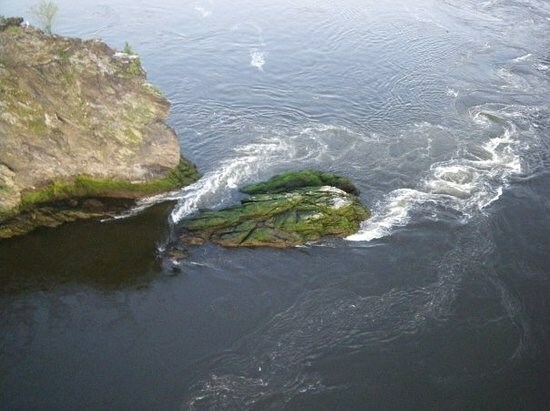 Upon our arrival, we visit the Reversing Rapids, a scenic natural phenomenon where the water reverses direction and flows uphill through a rocky gorge. Before checking into our hotel for the night, we are treated to a delicious dinner at Lily's Lakeside Casual Dining Restaurant. After a deluxe continental breakfast, we meet our step-on guide, and depart for a tour of St. John, located on the scenic Bay of Fundy. Highlights of our tour include historic sites, seeing the Martello Tower, Fort Howe and Fort La Tour. 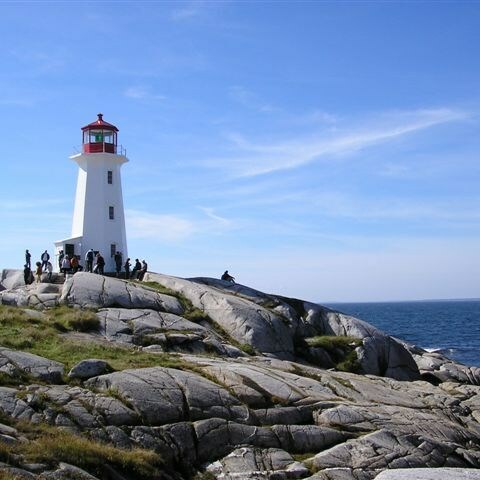 Following our tour, we depart for one of the most picturesque spots in all of Canada - beautiful Peggy's Cove. This unique and beautiful fishing village on Nova Scotia's eastern seaboard is home to a stunning lighthouse overlooking the Atlantic Ocean that sits atop wave-washed rocks. Don't forget your cameras! Before we continue to Halifax, Nova Scotia, we are served a delicious dinner at a popular restaurant that sits along the waterfront. Later we check into the 4-star Lord Nelson Hotel for the next two nights. Ideally located in downtown Halifax at the corner of Spring Garden Road and South Park Street, the hotel overlooks the famous Public Gardens and historic Halifax Citadel Fort. After a buffet breakfast, we meet our step-on guide, and depart for a morning of sightseeing in Halifax. We begin with a tour highlighting Halifax's famous sites, including the waterfront, Public Gardens, Spring Garden Road, historic downtown, and much more! 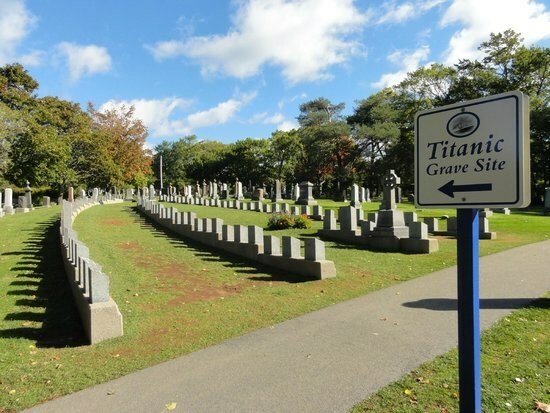 The next stop of the day will be a visit to the Titanic gravesite where you will learn about the important role that Halifax played in the rescue of Titanic survivors following the early morning tragedy of April 15, 1912. We conclude our tour at the famous historic Citadel, Nova Scotia's 19th-century fort perched high on a hill overlooking Halifax Harbor. Following our tour, you are free to design the rest of your day and do as you wish! Experience the attractions, entertainment, vibrant and upscale shopping and dining of Halifax's Spring Garden Road district. Tonight, enjoy dinner on your own in The Arms Restaurant, located at the hotel or at a restaurant conveniently located within walking distance of the hotel. After a buffet breakfast, we depart for Caribou, Nova Scotia where we will travel by ferry to the land known as "The Island Cradled in the Waves", Prince Edward Island. After checking into the luxurious Rodd Charlottetown for the next two nights, we conclude our travel day with a delicious dinner in Chambers Restaurant, located at the hotel. In the heart of downtown, The Rodd Charlottetown is conveniently located within easy walking distance to many shops and restaurants. After a buffet breakfast, we meet our step-on guide, and depart for a tour of Prince Edward Island. 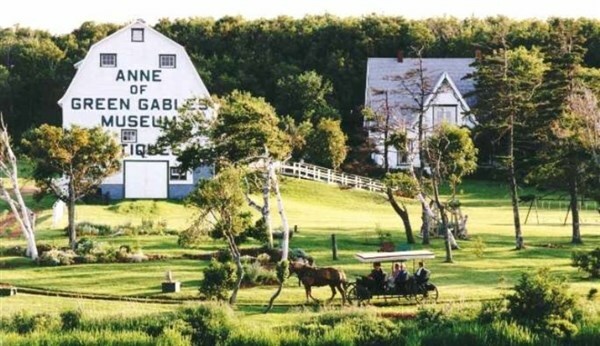 The tour will include a visit to Anne of Green Gables Museum, the house Lucy Maud Montgomery lived, and upon which she based her acclaimed book, "Anne of Green Gables". Next we head to the picturesque beaches of Cavendish National Park, and visit North Rustico's celebrated wharf famous for its fishing boats and lobster traps. Later we return to the hotel where you will have some leisure time to explore downtown Charlottetown, and browse its gift shops, boutiques, galleries and restaurants. Dinner is on your own at one of the many restaurants that are within walking distance of the hotel. After a buffet breakfast, we cross the stately Confederation Bridge, the longest span bridge in the Western Hemisphere, which links this part of Canada to the United States. Before checking into the Best Western Merry Manor Inn in South Portland, Maine for the night, we are treated to a delicious dinner at Dimillo's Floating Restaurant. Dimillo's restaurant is surrounded by water and every table offers spectacular views of Portland Harbor! After a buffet breakfast settle back and enjoy the movie "Anne of Green Gables" on our drive home, while reminiscing about our Canadian maritime holiday!